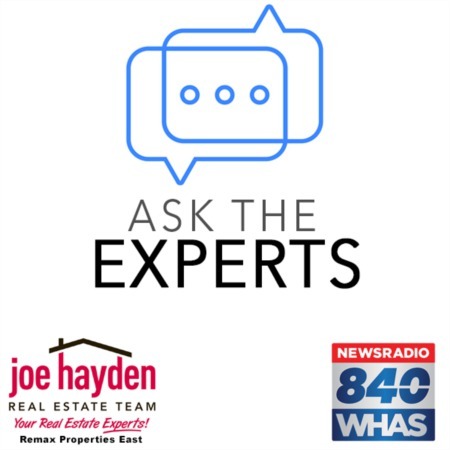 1814 Knollwood Road Louisville, KY 40207 | Home for Sale | MLS #1399734 | Joe Hayden Real Estate Team - Your Real Estate Experts! 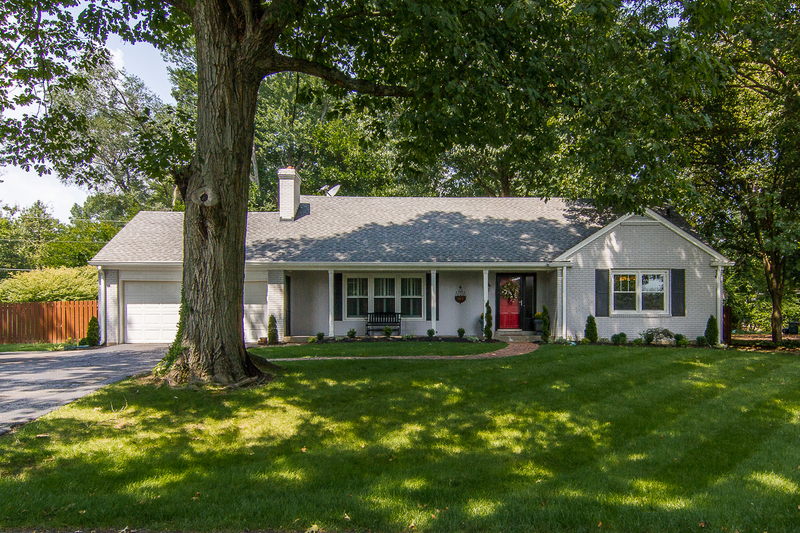 Charming, updated home at 1814 Knollwood Road in the peaceful Springfield subdivision off Blankenbaker Lane. Nestled in a prime location, you will enjoy quick access to the Watterson Expressway, St. Matthews, Downtown Louisville, plus all of your shopping, dining and entertainment needs. A relaxing porch welcomes you to the home and the foyer introduces you to well-maintained hardwood flooring that is found throughout the home. 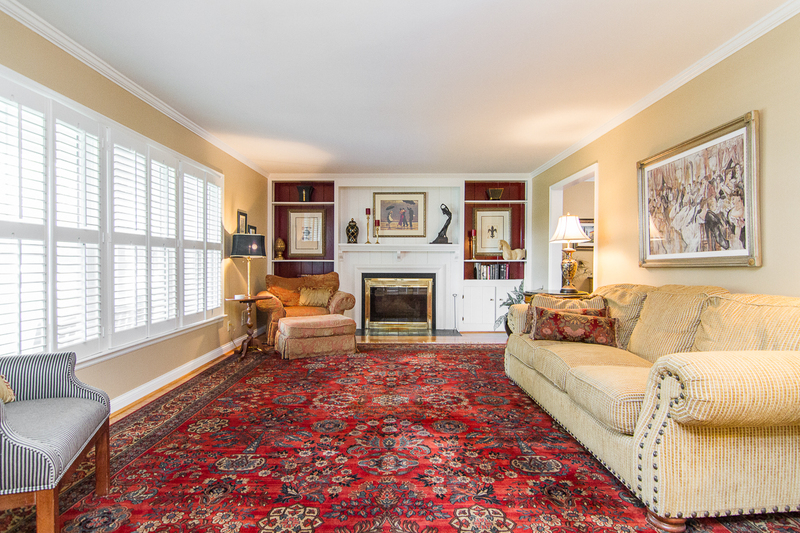 A formal living room offers a place to relax and entertain friends, while flowing into the eat-in kitchen. 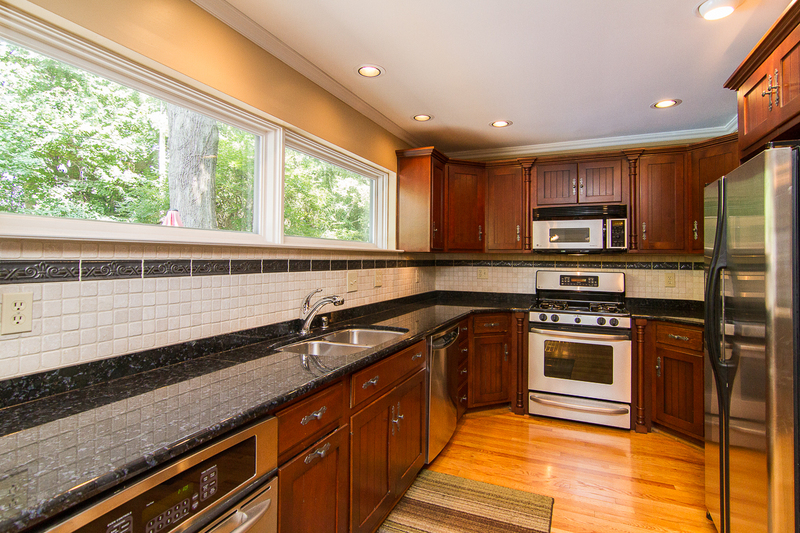 The kitchen has been renovated and features granite counters, gorgeous cabinetry, two ovens, a gas range and a tile backsplash. There is also a large picture window that offers a wonderful, light-filled view of the private backyard and in-ground pool area. Off the kitchen is a bonus room with access to the garage that can function as a TV room, a playroom or just a space to unwind. A formal dining room is just down the hall and has two closets to store table settings, plus a stylish chandelier. A bedroom/office space, plus a full bathroom, complete the first floor. 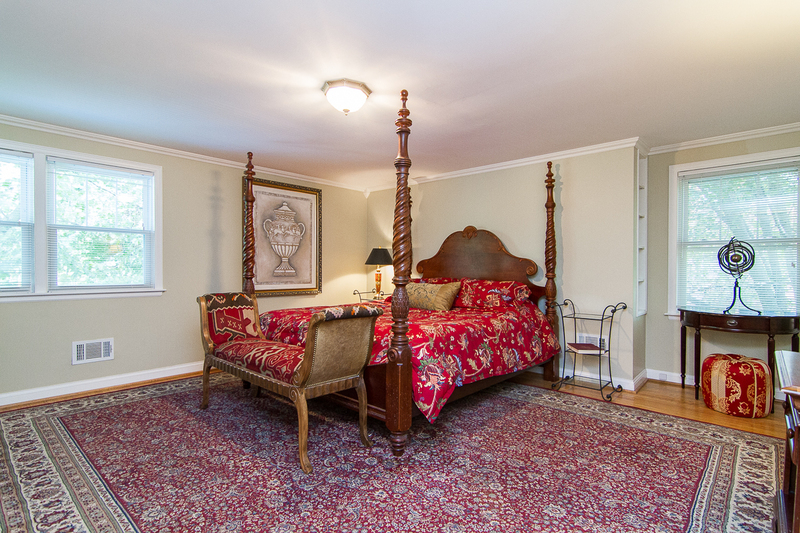 The second floor again showcases durable hardwood flooring while affording access to 3 spacious bedrooms. 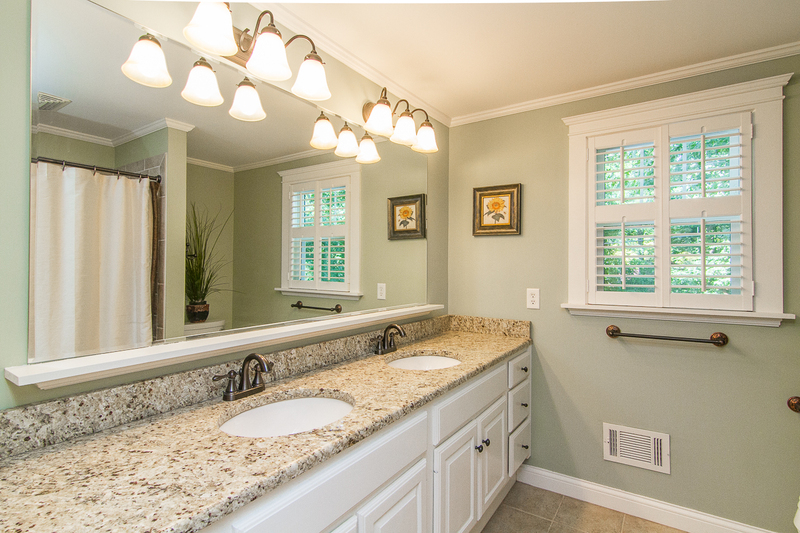 An updated full bathroom services this floor and features a granite vanity top with dual sinks. The basement is partially finished and has a variety of uses, plus there is ample extra storage. 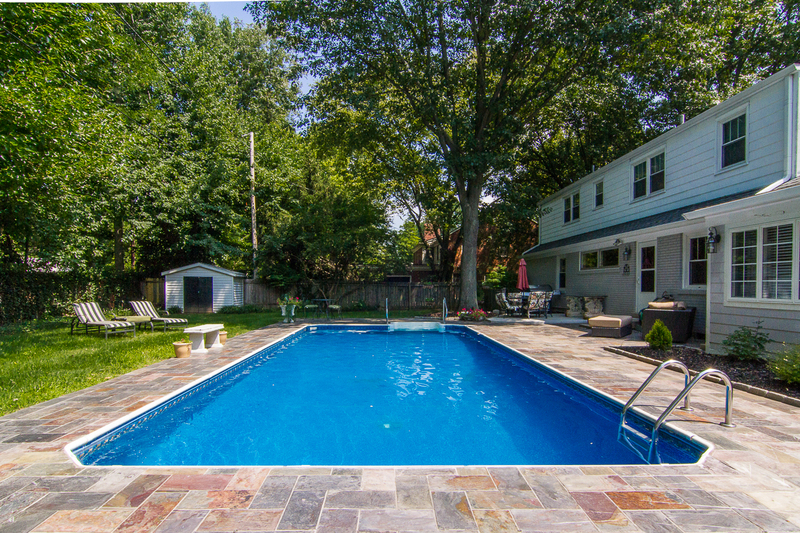 The rear yard is the perfect place for friends and family to gather to relax, entertain, have fun and enjoy the in-ground pool with a slate decking surround. Mature trees provide shade and seclusion and the full fence helps maintain privacy and security. Replacement windows are found throughout the home to help conserve energy and the roof is newer. Add this desirable home at 1814 Knollwood Road to your list and make plans to see for yourself how it can fit your needs!